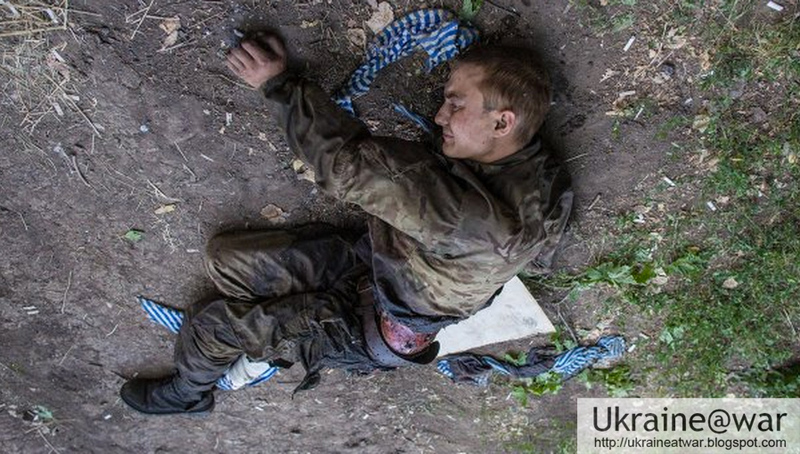 Putin@war: GRAPHIC Warcrime: POW tortured and killed by Russian terrorists? 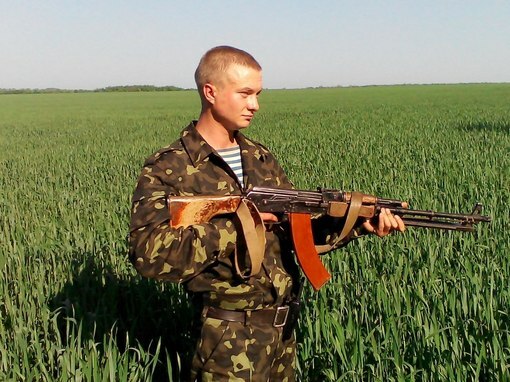 On July 31st there was an attack by Ukraine on the city of Shakhtersk. 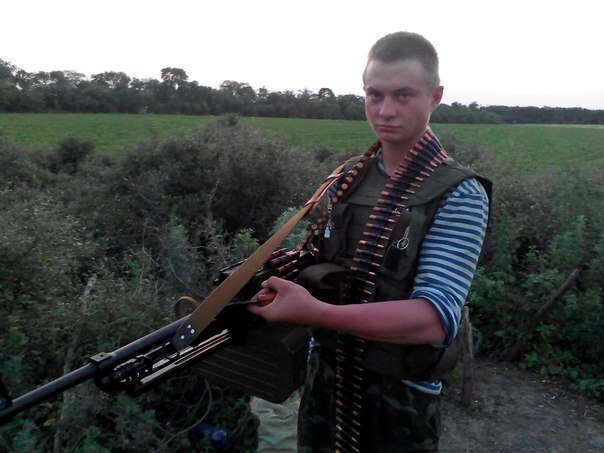 Several Ukrainian soldiers had been killed and others had been captured. 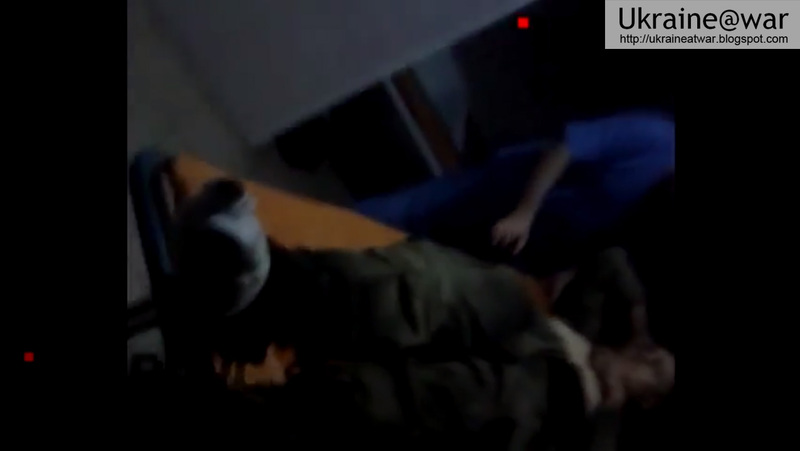 The Russian terrorists filmed the aftermath and their 'interrogation' of the POWs. As such they committed several war crimes. This is the story of Andrey. WARNING: the images are VERY GRAPHIC. He was reported to have died the next day, August 1st. The video consists of three main parts. 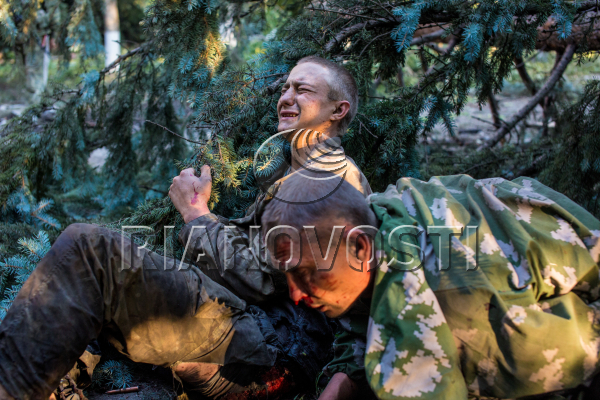 First he is sitting with his comrade near a fallen tree while they interrogate him. Notice the quite big wound or spot of dirt on his chin. From 2:28 he is filmed sitting alone next to a truck or BTR but WITHOUT the blue striped shirt! From 3:55 in the second part, he is filmed from the other side. The left and right sides are cut away from the video, because they might be revealing too much. The wound on his nose is open. There is no skin on it. These are all signs that they hit him hard in his face. This can easily be done by pushing/touching his wounds. Also they say in words that they hurt him to make him speak. From 5:26 is the third part of the video where he is inside a dark building, pretending to be something like a hospital, where he is cleaned. Notice how his right cheek is NOT all red as in the second part of the video. This is new bandage, because it does not look similar as when he still had his pants on. 1. Their face profiles are exactly the same. This is a screenshot from the video where he has his head in a similar position as on the photo. His hair is the same, his haircut, his ears match exactly, his nose, his eyebrows, his cheeks. Even the expression on his face is quite similar. Only the shadows are different in these two photos. 2. Both are wearing the same cloths. For instance, notice the pocket on his left sleeve. The pattern of his pants on his right leg with dark stains is very similar/the same. Also notice that not all soldiers wear the same uniform, because his comrade has a very different one. 3. The dead person has white bandage on his right foot. 4. The hands are alike. See photo above and below. 5. The location in the second part of the video and on the photo are EXACTLY the same. part of the torn apart shirt lies EXACTLY the same in the photo as in the video. there are leaves lying around the area, some in the same position, but not all. there are cigarette butts lying around the area. Some of them can even be matches exactly between video and photo. he is lying/sitting on sand with grass behind him. a stone between the butts can be matched. The fact that not all loose items like cigarette butts and leaves are exactly on the same spot is logical. Some may have moved while the boy was killed. The boy can be seen here too, still alive, without shirt and with his interrogators/torturers/attackers around him on the left side. We can see a lot of blood and possibly a gunshot wound in his left thigh. Also there is a lot of blood on his shirt. Remember the screenshots when he was in the hospital, where only a very small dark spot could be seen on his thigh. 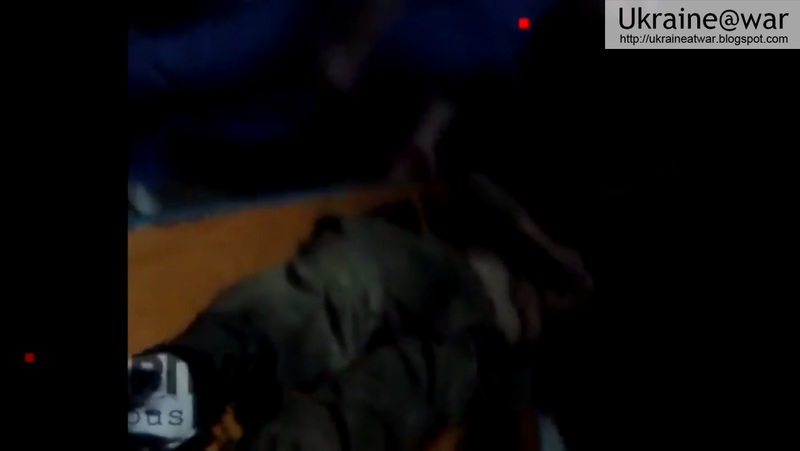 Now there even is another video of Andrey laying in bed while he is (pressed to) asking his mother for help. 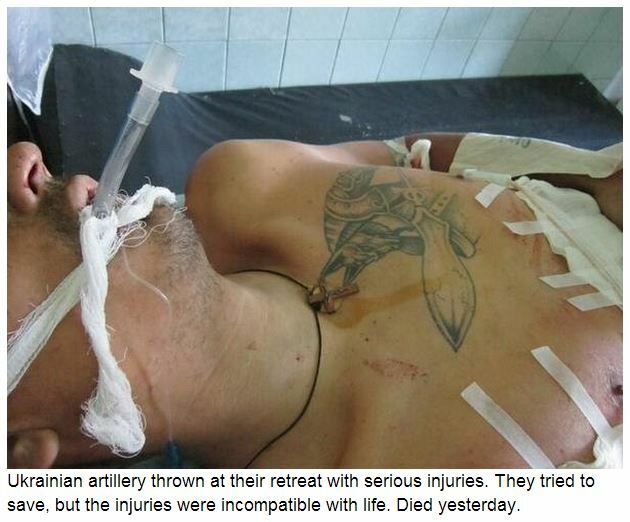 He says he is in a hospital in Donetsk, but he might of course be forced to say that. This video is published on 3rd of August, but it is a copy of this video, published together with the first one on August 2nd, but reported to be from August 1st. 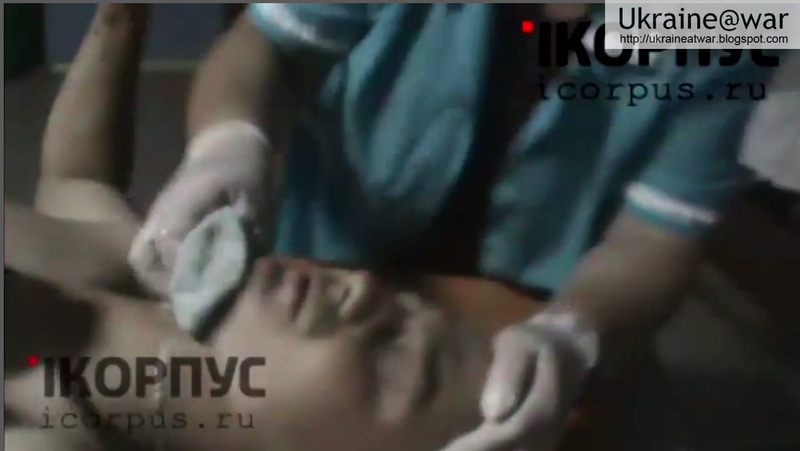 Notice how he has a big spot on his nose as well as on his chin, indicating either that it was recorded BEFORE the other video in the hospital (in a different room), or indeed one day later, when the wound could have closed again. 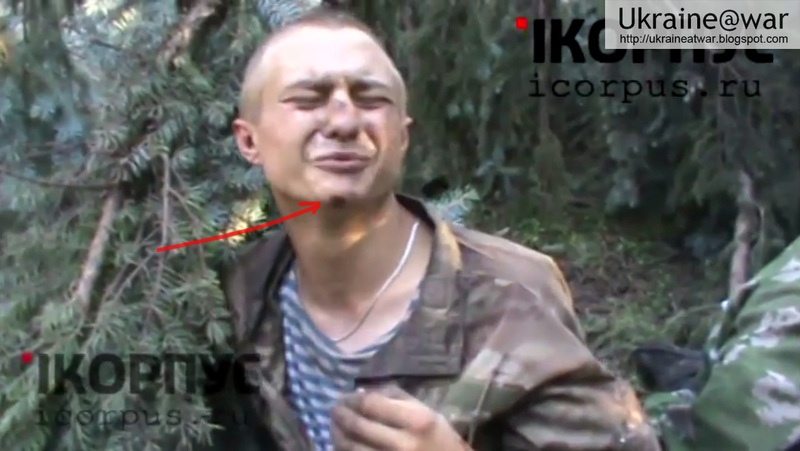 Also he does not appear to have a beaten up face as in the second part of the first video. 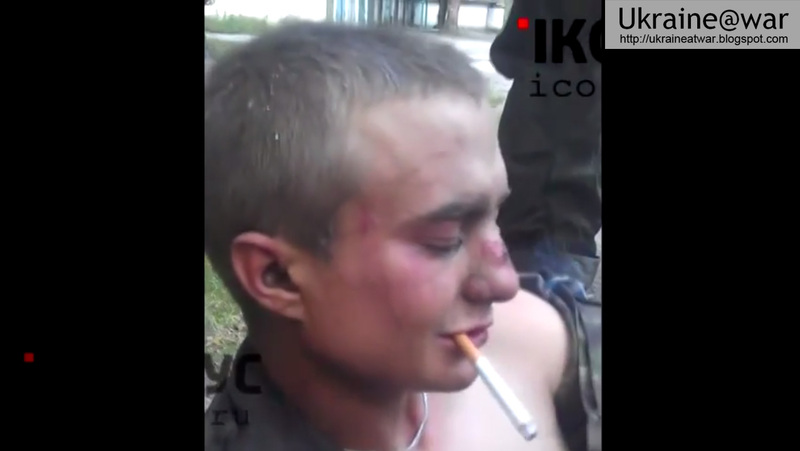 The text in red on the video says he is the boy who set fire in Odessa! They wrongly used the name Ivan Ponasyuk instead of his real name Andrey Ponasyuk. This clearly is NOT the same guy. This guy has a small, thin nose and big ears. He is also asked if he had anything to do with Odessa, which he denies. Then a large part is blackened, instead of cut out. Obviously not 'suitable' for the public. In the third part he calls his girlfriend on the phone and he says everything is alright. Her voice can even be heard on the phone when you set the volume really high. His overall condition seems to be very bad. He does not have clear eyes and talking is not easy for him. 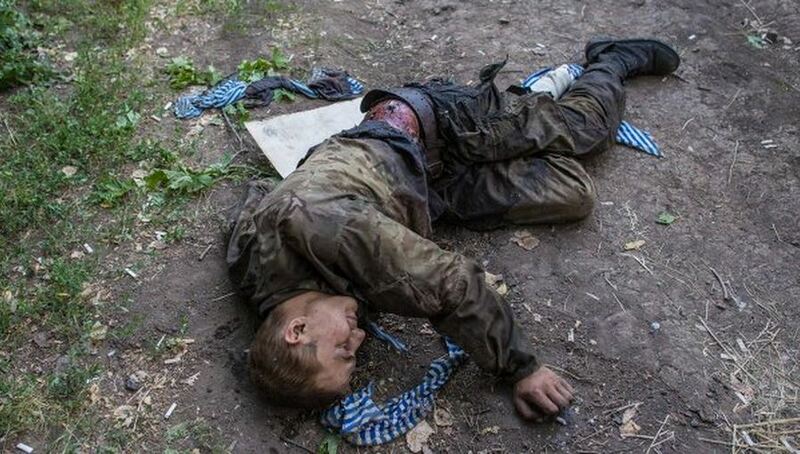 The wounds are not only on his buttock, but also on his side. On this photo he is in a very similar position as on the 'dead photo', but obviously still alive. What's most revealing about these photos is the time they are taken. The photos near the fallen tree are taken between 19:30 and 19:37. The 'dead photo' was taken at 20:21:34. The 'new' rising-his-head photo was taken 20:22:43. Andrey was not dead on the 'dead photo'. He had the wounds on his left side from the start, so they are likely to be battle injuries and not inflicted by torture. There are 20 minutes between the first location and the second, not enough to relocate twice and record the 'hospital scenes' in between. Second part of video taken AFTER third part? The possibility that the hospital scenes might have been recorded BEFORE the 2nd part, can be ruled out now. There was not enough time for it. The boy was injured during a battle and captured and as such a Prisoner Of War together with another soldier (there was a third one filmed too, but he is not in this blog). 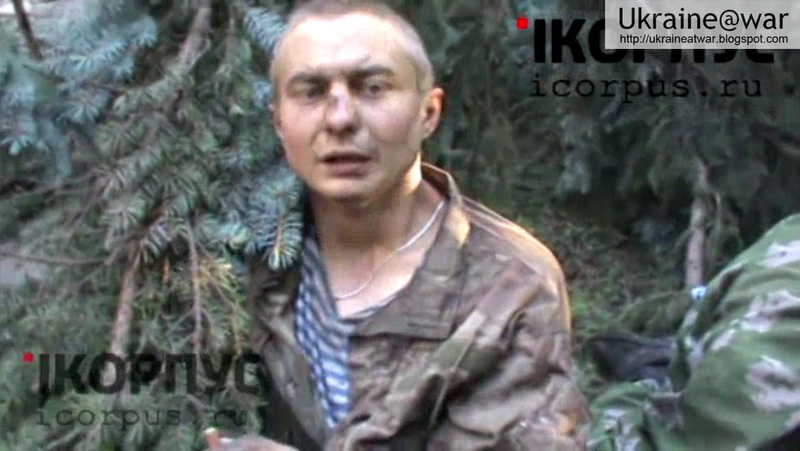 They interrogated him while he was near a fallen tree and recorded it on video as well as some photos were taken. They brought him to another location, where they tore his shirt from his body and interrogated him further. The camera was stopped and he was severely beaten in his face, ripping open his nose wound or even pulling of more skin from his nose. Then he was filmed from the other side and even tortured with the camera on. This could easily have been done by touching/moving/twisting his injured foot. After they were done and he was physically so exhausted that he could not sit straight and was laying on the ground, two more photos were taken of him, in which he appeared dead in the first one and raised his head a bit in the second one. Eventually he was taken to some sort of hospital, where he was taken care of and cleaned. The next day Aug 1st a video was recorded with a reenactment of the cleaning for promotional purposes. 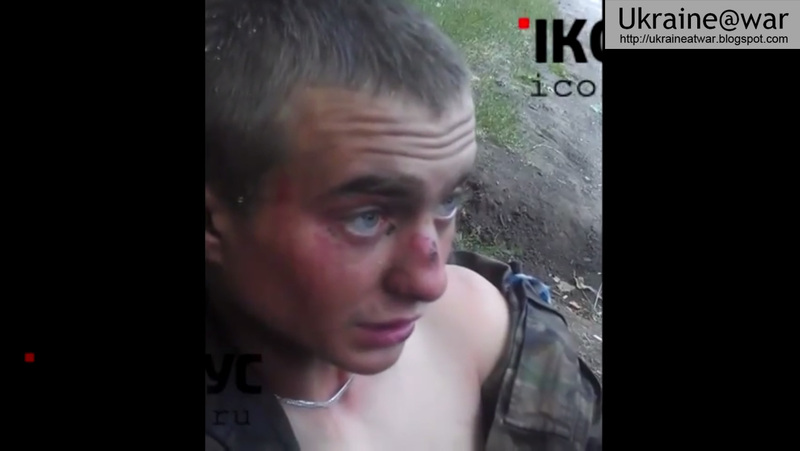 On August 2nd another video was published, were he was pressed to ask for his mothers help and to say that he was in Donetsk hospital. This video was picked up by Russian Propagandists to make a hate video and blame him for the Odessa fire. On August 4th a third 'hospital video' was recorded in a bit different setting where he was also asking about Odessa. 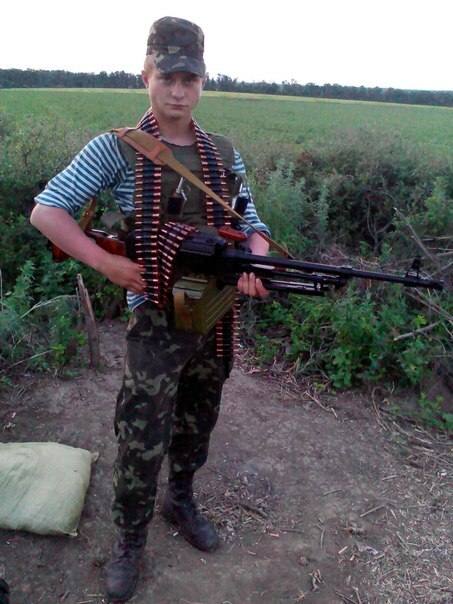 He seems to be reading from paper to tell that there are no Russians in Donbas. His overall condition does not look very well. It means Andrey must have been filmed on the background here. 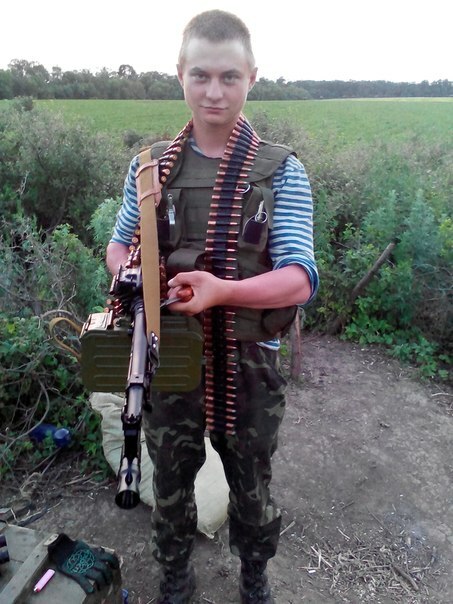 Obviously Andrey was not killed on July 31st or August 1st. But that does not mean he is safe. Who guarantees that he was not killed on the operation table or just not being taken care of properly? The best thing the Russian terrorists can do to proof that he is still alive and they do not do harm him further, is to RELEASE HIM and HAND HIM OVER to Ukrainian authorities and his family! 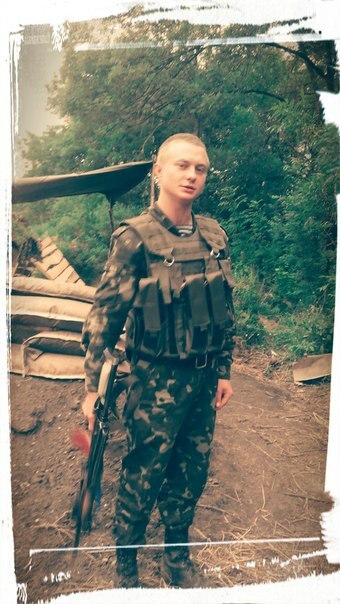 Andrey definitely seems to be in a better shape. 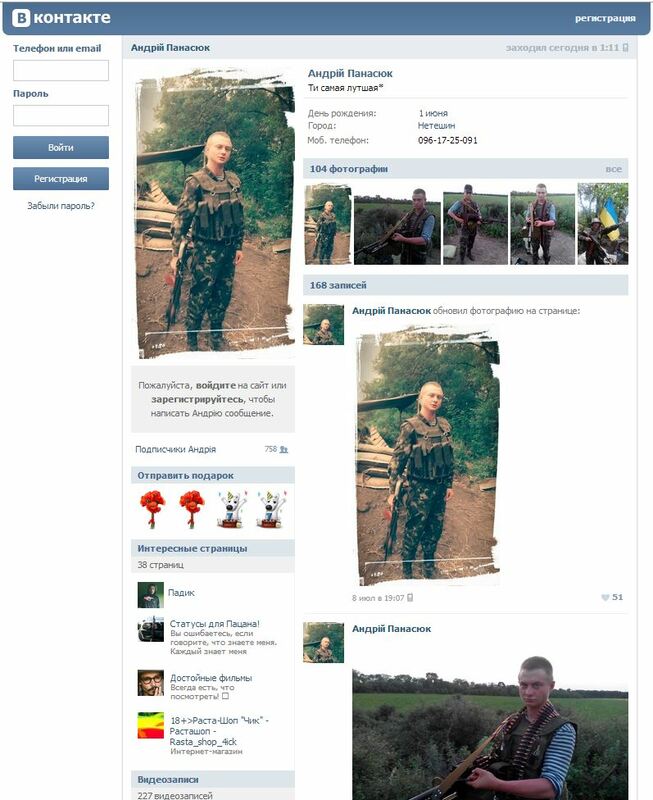 Although we still don't have any confirmation from the Ukrainian side (there is always a chance that this exchange has been staged) it appears that Andrey and the other POWs are well. 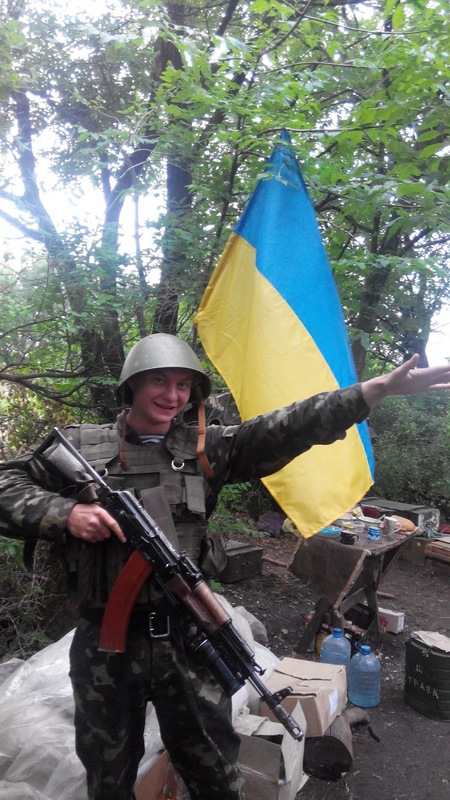 I want to believe that our joint efforts to make all this public, have contributed to their release... :D.
Also see @RobPulseNews extensive page about Andrey and warcrimes with two other POWs. This third POW was forced to bury dead Ukrainians alongside a road, so he might have been forced to bury Andrey like this too. 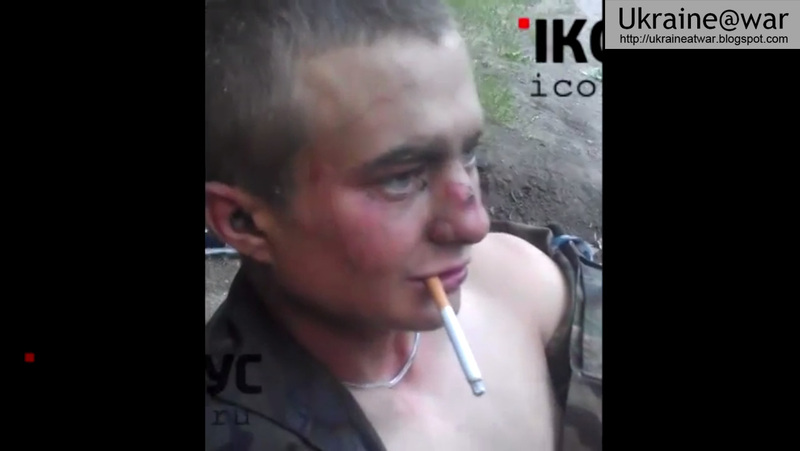 Also see this blog, where a wounded Ukrainian soldier is filmed while he is dying and only gets some water. If you have any additional information or thoughts, please let me know. I would especially like to know the location where this happened. His VK-page has been deleted now: https://vk.com/id23976359. UPDATE 7-8: his VK-page is hidden now! To the trolls: This is NOT a Hitler-salute!!! His fingers are spread out and it is his LEFT arm up.